This infrared thermometer is a safe and simple way to determine hidden hot and cold spots from a distance without contact. The device allow its user to automatically acquire a reference temperature and enter set point values above and below the reference temperature. The audible alarm and large red, green and blue, tri-colored light bar, will clearly indicate if the targeted temperature is within, above or below the set point values. Priced under $50 it’s a great tool for the professional or homeowner to help pin point problem areas. 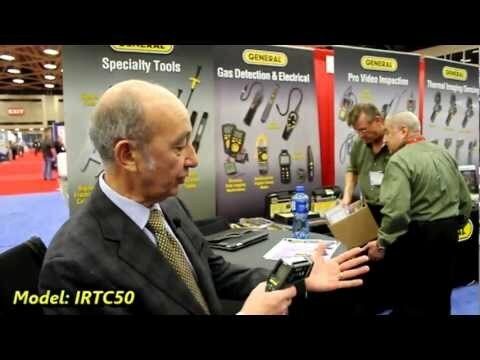 If your need is for an IR Camera where you get a full image with temperatures then check out General Tool – IR Camera. The video below shows the infrared thermometer in action showing how the indicator lights provide a quick signal indicating of the infrared thermometer detects and temperature within, above or below the set range.